Our parshah, KI TAVO, puts the seal on Moses’ detailed exposition of the commandments in the Mishneh Torah (=Deuteronomy) — the “Second” or repeated Torah — and recounts the Covenant that G-d struck with Israel in the plains of Moab prior to their entry into the Land. KI TAVO thus brings us into the closing sections of the Five Books of Moses, the very climax of the Torah. This is fitting reading as we approach the coming Day of Judgment — Rosh Hashanah — and the Days of Awe. The commandments contained in our parshah are almost the last commandments written in the Torah — except for the two commandments contained in next week’s reading, the double parshah of NITZAVIM-VAYELECH. 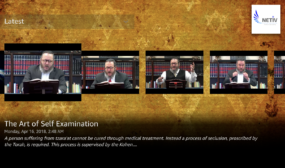 (Those relate to the teaching of the Torah — its public reading at the HAKHEL assembly in the Temple following the Sabbatical year — and to the accurate transmission of the Torah through writing a Torah scroll). The commandments contained in our present parshah, KI TAVO, relate to the longed-for, glorious future: “And it shall be when you come to the Land.”. The opening Hebrew word of the parshah is a permutation of the holy Name of HaShem. This seals His eternal promise that the time will indeed arrive when YOU WILL COME TO THE LAND. The time will come when you will be able to present your first fruits with gratitude in the Holy Temple, separate your priestly tithes and other gifts, and eat the fruits of your labor within the walls of the Holy City. The opening section of KI TAVO gives the commandment to present the first fruits in a basket by the altar in the Temple as a gift for the Cohen-priest, including the declaration of thanks made on presentation of the fruits. The text of this declaration, “The Aramite (=Laban) tried to destroy my father (Jacob).” (Deut. 26:5-9), is so fundamental to the identity of Israel that it forms the basis of the Pesach Haggadah with which we retell our national story every year on the night celebrating the birth of the nation through the Exodus. The main body of the Haggadah consists of a word-by-word homiletic commentary on these verses. The mitzvah of the first fruits is immediately followed by the commandments relating to tithes, which also involve a declaration. Periodically all accumulated gifts of agricultural produce to the Levite and poor etc. that have not yet been distributed must be cleared out of the house. This is done after the end of the first three years of the Sabbatical cycle, on the eve of Pesach of the fourth year. Following the distribution of the remaining gifts, the householder declares that he has fulfilled each one of the various commandments relating to agricultural produce in their proper order — therefore, “Look down from the dwelling place of Your holiness from the heavens and bless Your people.” (Deut. 26:13-15). This is known as VIDUI MAASROS, the “confession” over the tithes. This declaration is the opposite of a confession of sin. It is an enumeration of the merits gained by faithful adherence to the commandments of the Torah, like a laborer listing what he has done for his master before inviting his blessing. With the mitzvah of the first fruits and the commandments relating to the tithes, gifts and consumption of the produce of the Land, the Torah has come the full circle. At the beginning of Genesis, we learned of man’s basic sin, which was bound up with the eating of fruit: the forbidden fruit of the Tree of Knowledge of Good and Evil. Man took without asking — he stole, with all the consequences. The serpent tricked Adam into taking the fruit, and thereby brought death upon him and robbed him of his blessings. Jacob had to use trickery against Esau and Laban to retrieve the blessings back from the serpent. Jacob’s children had to go down into Egypt in order to rectify all that fell through the eating of the forbidden fruit. They had to endure slavery in order to learn the meaning of freedom and its obligations. Only after much toil and tribulation did they come to the Land, wrest it from and cleanse it of the accursed Canaanites, seed of the serpent, till it, plant and tend it until they saw their first-fruits. A person inspecting the long-awaited luscious fruits gradually ripening on his tree of figs or pomegranates would tie a thread to mark out the choicest first fruits. Instead of marking them out for his own self-gratification, he would set them aside to present as a gift to the priest at the side of the Temple altar. The first fruits — BIKURIM — relate to the BECHORA, the birth-right, which alludes to CHOCHMAH, “wisdom”. It was wisdom that Adam defiled in taking the forbidden fruit. Esau, embodiment of the serpent, rejected the birth-right of wisdom, but Jacob took it back — and vowed at the site of Adam’s creation to dedicate the choice first tithe to G-d. In the declarations over the presentation of the first fruits in the Temple and over the separation of gifts and tithes, man uses the unique faculty G-d has given him — speech — as a means of deepening his connection with G-d through heightened consciousness of his identity as an Israelite and as G-d’s servant fulfilling His commandments. Saying “Thank You” to G-d out loud is very important. The last commandment contained in KI TAVO, based on the words “and to go in His ways” (Deut. 26:17) is to model our personal traits on the traits and attributes of G-d. “Just as He is merciful and gracious, so you should be merciful and gracious…” The refinement of our traits is the inner work in the heart that G-d asks of the Israelites, an essential part of the spiritual work of the month of Elul. The repetition of the Thirteen Attributes of Mercy in the Selichos (penitential prayers) recited in this season comes to arouse us to follow these attributes in our daily lives. It is indeed the traits of kindness and compassion that are the marks of the true Israelite and the distinctive attributes of AM SEGULAH, the “treasured nation” (Deut. 26:18) whom G-d has chosen to observe His Torah and enjoy its blessings. The very exaltedness of this calling gives Israel a weighty responsibility. Thus the Covenant entails not only privileges and blessings but also heavy sanctions for its infringement. Our parshah impresses upon us the seriousness of the Covenant with its account of the solemn ceremony that was to accompany the people’s entry into the Land. The Torah was to be written on stone, and the twelve tribes were to stand on two mountains adjacent to Shechem, six on each mountain, while the priests and Levites standing in the middle recited a litany of blessings and curses. The first reference to this ceremony was made at the beginning of parshas RE’EH, which we read four weeks ago, before Moses entered into the details of the law code of the Covenant in the trilogy of RE’EH, SHOFTIM and KI SEITZEI. Now, in KI TAVO, after completion of the law code, the Torah depicts this striking ceremony to impress upon us that Israel’s presence in the Land is not for the sake of having mere territory. The Land is given as the place in which to fulfill the Torah. It is when Israel dwells in the land in order to observe the commandments that they are “for praise and for a name and for glory. a holy nation” (Deut. 26:19). On entry into the land, they were to set up great stones washed with lime and write the Torah on them “with clear explanation” (Deut. 27:8) — “in the seventy languages” (Rashi ad loc.). 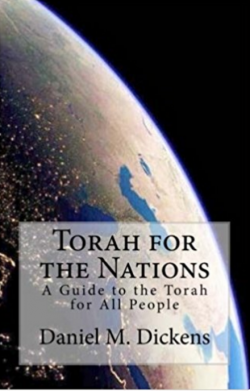 The fact that the Torah had to be written in all the languages of the world shows that the presence of Israel in the land is not merely of particular interest to Israel alone but of universal significance for the whole of mankind. 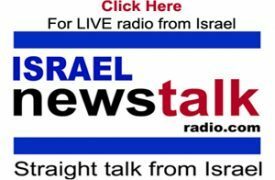 For this reason, the present series of commentaries is entitled UNIVERSAL TORAH even though many sections of the Torah deal with commandments that apply exclusively to Israel and not to the other Children of Noah. Nevertheless, numerous commandments and teachings in the Torah apply to all humanity. Moreover, Israel’s observance of the Torah and their possession of the Land of Israel as the place designed for this are in the interests of the whole of humanity. As expressed in the words of the rabbis, “If the nations understood the value to them of the Holy Temple, they would have surrounded it with armed guards”. All those whose actions and policies obstruct the building of the Temple are doing a terrible disservice to the entire world.